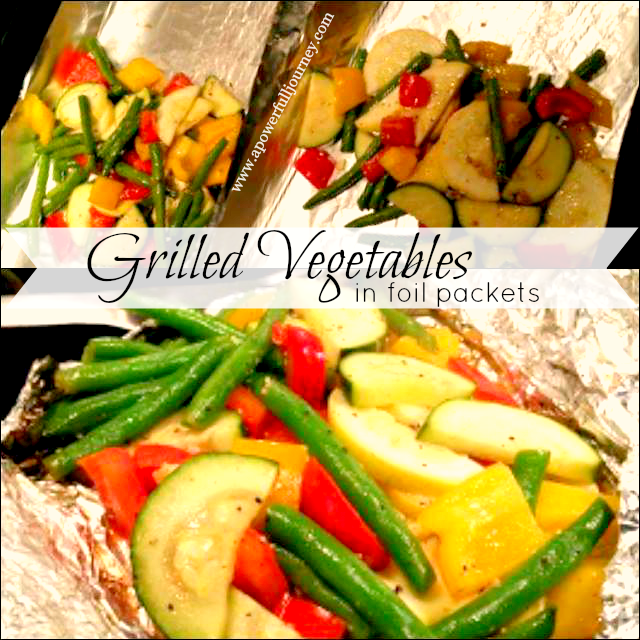 Preheat grill to medium, cut up to 6 12-by-18 -inch pieces of heavy duty aluminum foil. In a large bowl, whisk oil, vinegar, garlic, seasoned salt and pepper. Add vegetables; toss to coat. 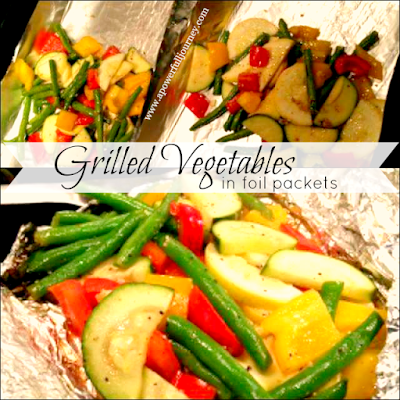 Divide veggies evenly among foil pieces, and drizzle with any remaining dressing. Fold long sides of foil toward each other, crimping edges to seal. Fold and crimp remaining edges, forming a sealed packet. Place packets, steak side up on grill. Close grill and cook for 20 minutes (I cooked for a little less due to a hot charcoal grill ;) !) To check for doneness, remove one packet from grill, open carefully and taste a vegetable: it should be crisp-tender. Carefully open packets, serve and ENJOY!